Let's be real with each other here. Most addiction treatment providers don't generate leads with social media marketing. For long-term outpatient treatment, social media becomes a glorified customer service channel. At its worst for any provider, social media becomes a place for people who didn't have a good experience to write bad reviews and troll your content. The good news is we can do better than that. Stigma: it's bad for people with addictions and its bad for addiction treatment marketers. It's difficult to get prospects to engage with your facility and your content online who might be worried about certain family members or their employer finding out about their disease. Without engagement, organic social media traffic flatlines. HIPAA: a patient leaves a great review on Facebook or asks a specific question on Twitter... How can you respond in a thoughtful but HIPAA compliant way? One of the most frequent next steps, and often necessary, is to take the conversation off of social, but that hurts engagement and thus organic social media traffic. HIPAA compliance can leave your social media feed feeling stale or dancing around recovery with feel good memes. Neither strategy is likely to generate more leads. Social media platform policies: In today's pay to play social media world, we can't help but to mention paid advertising. Facebook has some restrictions relevant to addiction treatment advertisers. Namely, "Ads must not contain content that asserts or implies personal attributes. This includes direct or indirect assertions or implications about a person’s race, ethnic origin, religion, beliefs, age, sexual orientation or practices, gender identity, disability, medical condition (including physical or mental health), financial status, membership in a trade union, criminal record, or name." I add the whole explanation because medical condition might be the most obvious one here but Faith-based and secular treatment providers sometimes run afoul of asserting to implying religion or beliefs. There are all kinds of ways of dealing with this particular policy, but hey, it's here to illustrate the point. If you're still with me, let's figure out how we can make social media work for addiction treatment providers. Perhaps the most important part of an effective social media strategy happens before your first post: getting a firm grasp of your buyer persona. Who is it that comes to you for treatment? You might not have just one profile of an ideal patient, but I'd suggest starting with one, two, possibly three to get started. First, compile the demographics of the perfect patient(s). I wouldn't overthink this is because while it's important it's, it not the secret sauce of an effective social media marketing campaign. Now, drum roll please, build a psychographic profile for this person and outline what they do, see, hear, think, and feel in a given day. Let's say you have had some success with the most challenges cases of alcoholism, and you have compelling reasons that these people should get treatment from you. Let's call your buyer persona John as he is most likely male. He's in his 40s, divorced, and while he was doing an okay at holding down his job, but was told if he didn't quit he'd fired six months ago and has only picked up odd jobs since. Speaking of worse and not better, he sees his kids every other weekend but after binge drinking several times when he has the kids his ex-wife is now filing for supervised visits only. He's often depressed and withdrawals from family and friends especially when things are tough. Whenever we gets a few extra bucks, he'll smoke a pack of cigarettes. How in the world can we reach this person on social media? Well, it's tough, but when we think about how he interacts with the world around him, we can come up with some possibilities. In the midst of a child custody dispute, maybe John's keeping an eye on his ex, who fits the demographic for a Facebook user. He's most likely to check Facebook during the day when he would have a custody hearing or meet with his lawyer. John might also check the local liquor shop, not the bar because of his antisocial behavior, Facebook page for coupons while he is on Facebook. Though active in fits and starts, John may have a LinkedIn page that he logs into when depression symptoms aren't as bad to look for work. Alcoholism and depression isolates John to his room often and he will walk to the gas station on the corner to buy cigarettes. He often has his mobile phone close by in either scenario. While home alone, he watches streaming content online often watching videos on YouTube. Almost any other buyer persona is easier to reach on social media than John, but even he has a few possible opportunities. Since we have been thoughtful about it we know what networks we might be able to reach him on and other key bits of intel like when to post on those networks to have the best chance of John seeing the post. Because social media marketing is challenging for addiction treatment providers as it is, let alone the facility that is targeting John, one of the ways to address this is to focus on referral sources on social media. It sidesteps a lot of the challenges with stigma, HIPAA, and social media network policies. Let's try an easier example this time around. You're ideal patient has an addiction to opioids, is a single female in her 20s with kids. She has a part time retail job and recently moved back with her parents after losing her apartment. Things are tumultuous back home though. Let's call her Katie keeps telling her parents that she's not using, but she isn't being truthful with them. She's lost so much that she wants to stop but she isn't sure how. Heroin is the only thing that makes her feel halfway normal anymore. Katie's parents are a common referral source for this buyer persona. Let's focus on her mom, Janet, for starters. Janet is in her 50s, works full time, has been married for 25 years, and lives in a small town. She likes to read in her spare time, play Sudoku puzzles, and even some casual games online. She also goes to church on Sundays and prays for her daughter, Katie, every night. Now that Katie is back home her normally quiet life has gotten a little more complicated. Janet and her husband don't see eye to eye about Katie staying there for much longer, but Janet is worried about Katie and wants to keep an eye on her. Katie has overdosed before, and she couldn't live with herself if no one was there to administer Narcan if she ODs again. Katie keeps making promises to her mother about recovery, getting a job, and trying to get her kids back, but while Janet isn't optimistic, she's persistent. Katie's her daughter and she wants her to experience and enjoy life. From the demographics, we know that there is a good chance that Janet is a Facebook user and active one playing casual games, keeping up with family, crafts, and church. What else might be suppose about her social media use and how best to reach her? Her employer blocks social media at work, but she checks Facebook on her mobile phone during the day. As a crafter, Janet is on Pinterest too mostly to get ideas for new projects. Janet doesn't access social media until mid morning on Sundays. Katie comes back late Friday and weekends. Janet is often up worried about her daughter and on a computer then. She might be searching Google for information about interventions and looking for support groups online and in her local community. Though this is the tip of the iceberg, we have identified the best social media network to reach Janet, Facebook, and some appropriate times to post content to reach this referral source and even some content topics that would be of interest to Janet. One of the reasons that I glossed over demographics is not just because you can tease them out a lot more easily than your buyer persona's psychographic profile, it's also because there is a great resource to match up your demographic profile with a social network: Pew. The Pew Research Center regularly tracks what people use what social networks. Once you have the demographics of your buyer persona or referral sources, you can cross reference it with the Pew research to determine ideal social media channels for your marketing efforts. Knowing demographics matters. 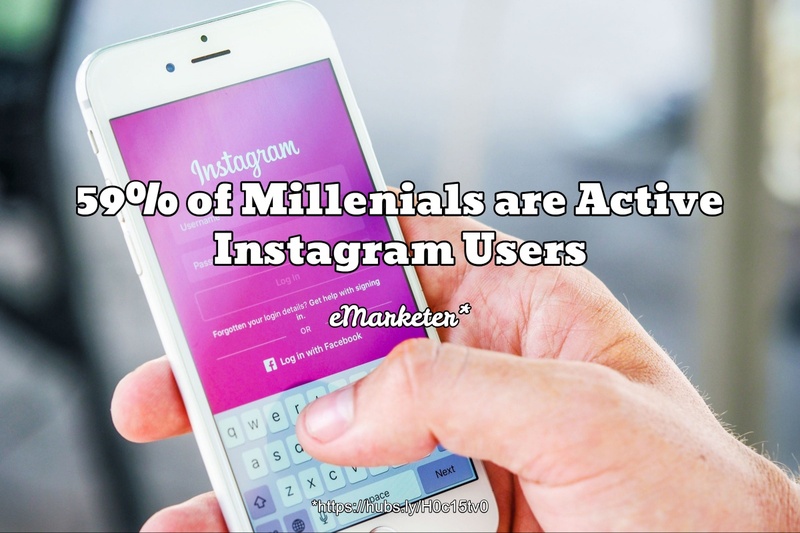 Just consider this stat if you're targeting Millenials. Now that you have developed a detailed persona buyer for your ideal patients and/or referral sources, now's the time to put that work into action. The next step after choosing social media channels to create content on, is to create that content. That could should answer the questions that your buyer personas and referral sources have, equip them with information they need, and help them come a decision about addiction treatment. And while your brand has a voice, you might adjust the tone, word choice, and so on of these posts to account for how Janet communicates. If we didn't mention enough challenges with social media marketing, another is that prospects rarely like or follow your social media profiles. The best ways to find them on social is often through paid advertising and sometimes, social listening. One of the more common cohorts of provider social media profiles is existing patients for ongoing treatment providers and alumni of rehabs, halfway houses, detoxes, and so on. How much of your content speaks to these people? 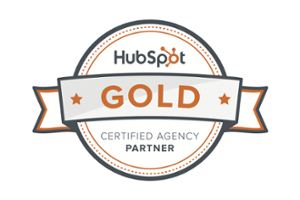 Chances are you need more content to, in Hubspot inbound marketing speak, to "delight" these people. Continue to encourage them in recovery. Ensure they know what to do if they relapse. Provide resources to help them spend more time with families and secure their finances. When you delight your alumni and long-term patients, it will come back to you and then some including great online reviews and more referrals. 1,800 words later, here's the recap. To get started on the road to social media success, if I haven't beat this horse too dead, are buyer persona. Fortunately, we have a great resource to get you started creating meaningful buyer personas. © Copyright 2018 No Bounds Digital. All Right Reserved.